The Des Moines Register has been combing through reports of the Iowa Board of Regents and found that students at three public universities Iowa State, the University of Iowa and the University of Northern Iowa are getting hit with increases on all kinds of non-tuition fees for things that tuition used to pay for. This is a national problem. My students found the same thing happening at the California State University System when they took a look at rising fees there a few years ago. You might want to take a look at your own university tab and see what kinds of fees you have to pay. Then start asking your administration to break out what the money generated by each fee actually funds. You might find that administrators have a lot of leeway into how they can spend student fee money. Someone good with numbers and spreadsheets. Someone with good news judgement — who can spot the story in all the information you are bound to gather. Someone who can handle the visuals– the photos and videos. And of course, a solid interviewer. Okay, this is the A-Team and you want an I-Team. But note how each member of the A-Team brought different skills to the team. Make sure everyone understands who is in charge. You don’t want to put a lot of work into a big reporting project only to have it fall apart over disagreements. There needs to be someone in charge who can make the difficult calls when disagreements arise. Students on The Whetstone newspaper at Wesley College in Dover, Delaware, combed through their schools Form 990 in April. As a private college, Wesley is exempt from the state’s public records act. So unlike students at public universities, the student newspaper isn’t entitled to administration records. But all private not-for-profit colleges and universities must file a Form 990 with the Internal Revenue Service and make those records available to the public. All student newspapers at private institutions should track down their school’s Form 990. It has a ton of information in it on how much money the school raises and spends and where it spends that money. A great place to find your school’s Form 990 is through ProPublica’s NonProfit Explorer search engine. The Whetstone discovered through the 990 that Wesley College pays Barnes and Noble $400,000 to run the bookstore and Aramark Corp. more than a million for food service. 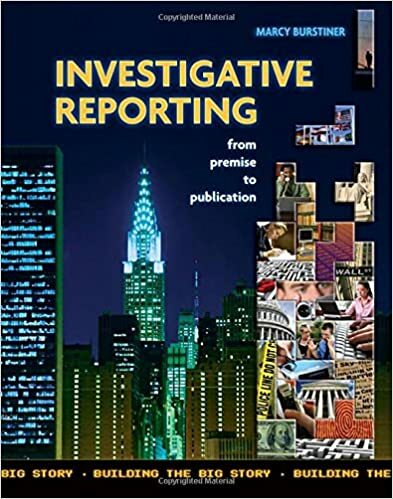 Has your student newspaper done any investigative reporting? Send us the links to your stories or media and we will spotlight them here!